FTP and other file-sending applications and services have become a standard in the industry. They are essential today if you want to share large files or an entire project dataset. 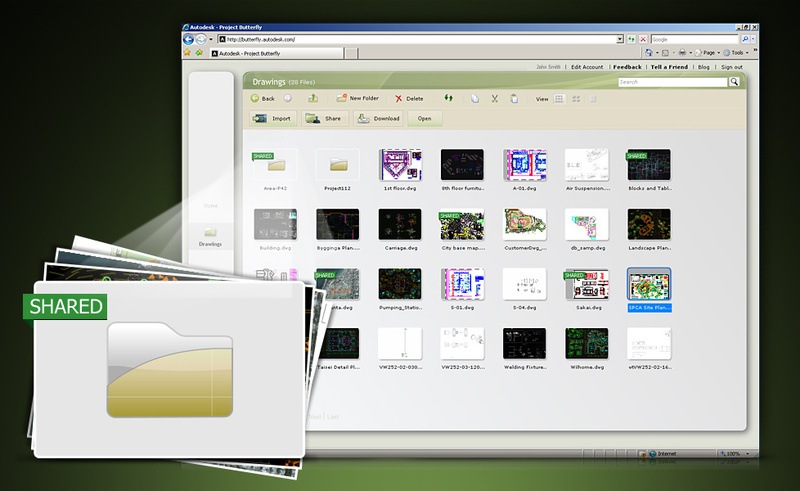 By using Project Butterfly as your online storage service, you can open your drawings from within your Web browser, without any external software. When we were designing Project Butterfly in the beginning, we wanted to help our users accelerate their design process. One of the biggest pain points that slow down designers’ work is struggling with different software each day, and spending time tech supporting for their colleagues or clients. We wanted to change that. We believe that designers should invest their time being creative and exploring ideas, rather than waste time trying to get a file through Outlook or worry about software version incompatibilities. Since its launch, Project Butterfly is speeding up and simplifying workflows by allowing professionals to collaborate in different ways. Things could be better, though. Nowadays professionals still need to maintain and run unnecessary applications such as an FTP server and client. Your colleagues can view or edit your DWG drawings from within Butterfly, without downloading and keeping a copy of the drawing, and without them having to install any software. You can work directly on the online version of the drawing, without having to upload it every time you create a new version. You can share individual files or entire folders, making it easy to share a project folder in the office or with stakeholders. You can allow the people you’re sharing with to download the files or just view them within Butterfly. Your recipients don’t need to set up any account or receive credentials. They get an e-mail invitation. Managing permissions is Butterfly is easy and fast. You can revoke any permissions you granted at any time, protecting your data on demand. You can upload any type of file to Butterfly, and there is no storage limit. This entry was written by Butterfly, posted on May 11, 2010 at 8:56 AM, filed under News. Bookmark the permalink. Follow any comments here with the RSS feed for this post. Post a comment or leave a trackback: Trackback URL.